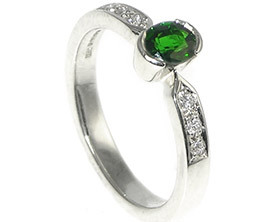 Tom and Sophie are an adventure loving couple who enjoy travelling together. 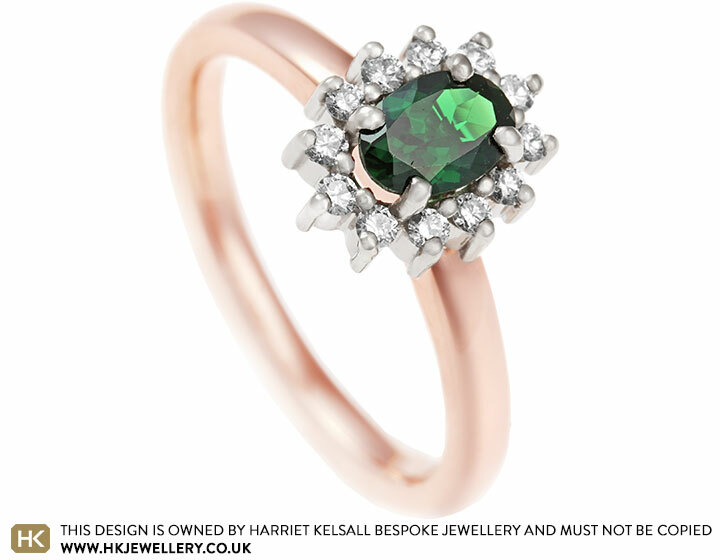 Tom commissioned this beautiful ring ahead of a trip to Zimbabwe where he was planning to propose. 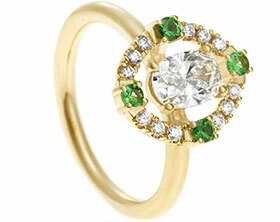 Sophie loves mixed metals so this rose and white gold cluster ring is the perfect combination of classic and modern. 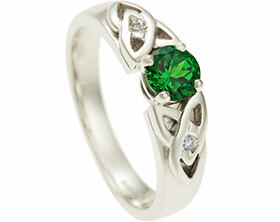 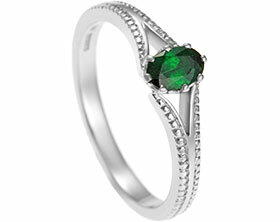 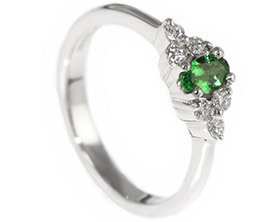 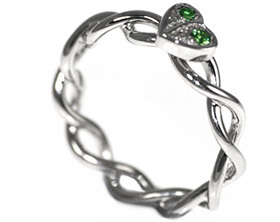 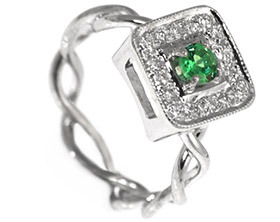 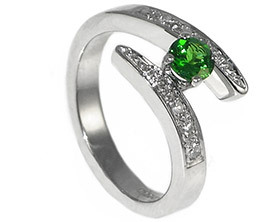 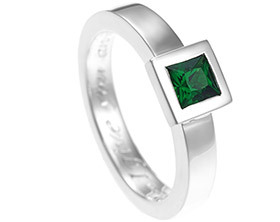 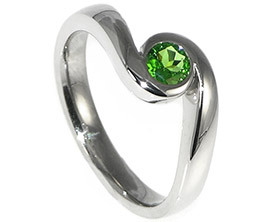 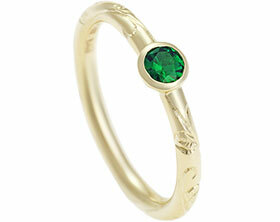 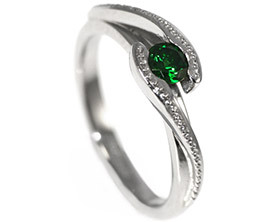 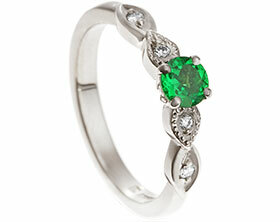 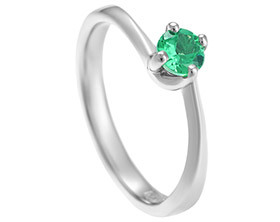 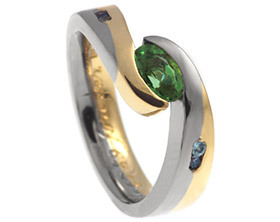 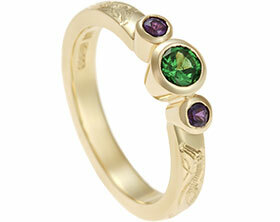 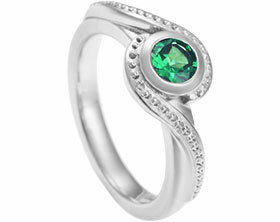 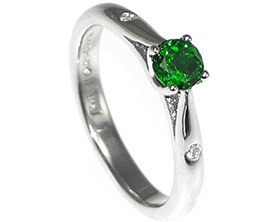 The focal point of the design is a 0.51ct oval cut tsavorite which is claw set in Fairtrade 18 carat white gold. 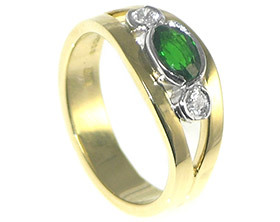 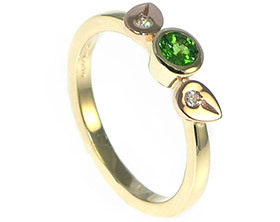 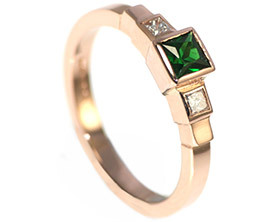 A halo of twelve round brilliant cut G-H, VS1-2 diamonds surround the rich green stone. 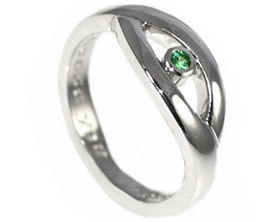 Tom opted for Fairtrade 18 carat white gold and Fairtrade 9 carat rose gold as the couple are keen on humanitarian support.